About 263 international river basins covering almost half the world’s land surface are shared by two or more states (making 145 states part of international river basins). 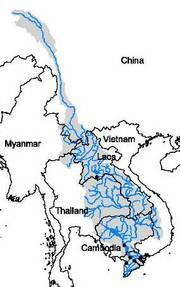 Given the nature of the flood formation within river basins, the activities of one State can lead to increased flooding downstream in the other State sharing the same international watercourse. Similarly, a downstream state may take measures that affect the upstream state, e.g. in form of backwater effects. Also, where the river forms the border, measures taken on one side will have an influence on the other, e.g. when flood defences are built only on one side or with different crest levels on the two sides. Within this context the need for the States to cooperate at the international watercourse level is clear. The most relevant document relating to flood management issues at the transboundary level is the "United Nations Convention on the Law of Non-Navigational Uses of International Watercourses" (1997), which includes the only global framework agreement to address the use of rivers for purposes other than navigation.